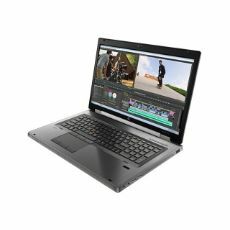 HP's powerful mobile workstation offers the highest-performing professional graphics, extreme processing power, a 17.3-inch diagonal display and a chiseled design. Create masterful designs and jaw-dropping animations with workstation-caliber graphics. The HP EliteBook 8770w is ISV-certified so your mobile workstation runs smoothly and reliably no matter what the project is. Extreme processing power. Keep up with large files and critical projects with the incredible performance and responsiveness of an Intel Core i7 quad-core processor.